September is drawing to a close soon and it’s been quiet the month, in the best kind of way. For me September is always my favourite month, it’s my birthday month and that especially makes it feel like a fresh new start. Not surprisingly for a stationery lover, September and new stationery have always gone together perfectly. A hang over from my school days perhaps, but I still get that excited buzz as I open a fresh new notebook and sit there with most likely a fresh new pen feeling inspired to fill the pages with great plans and ideas. With my birthday come new goals for the year which I prefer to get down on paper to keep me focused, so it’s important to have the right notebook. Yes, I’m not even going to try and hide the fact I’m a massive stationery geek!! Papier have been on my stationery radar for a while now. I love their designs and the fact that you can add that personalised touch. There are so many beautiful designs, I just wanted them all and could never make up my mind! 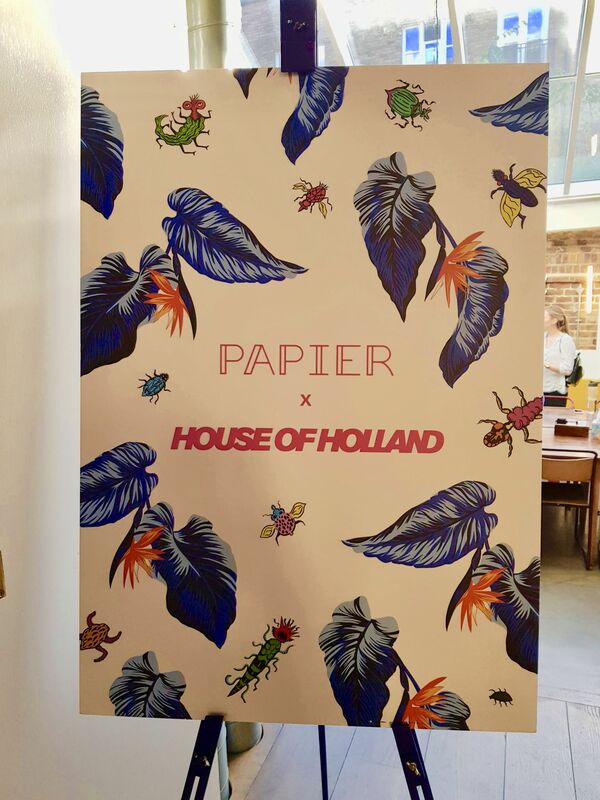 Then a couple weeks ago I got to attend an event with Papier and meet Henry Holland to celebrate the launch of their collaboration with House of Holland and it was all a bit of a pinch me moment. 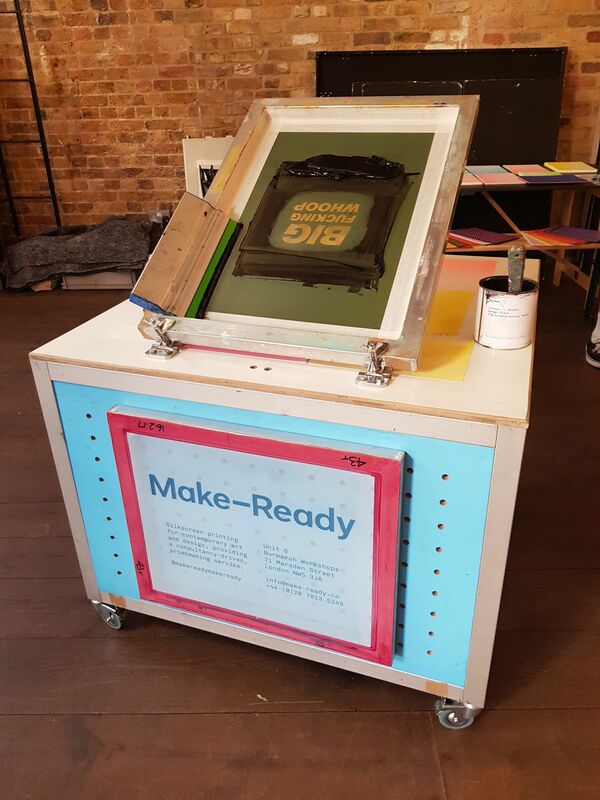 We took part in an evening of screen printing with Make Ready and got to hang out with Henry as created our silk-screen designs. 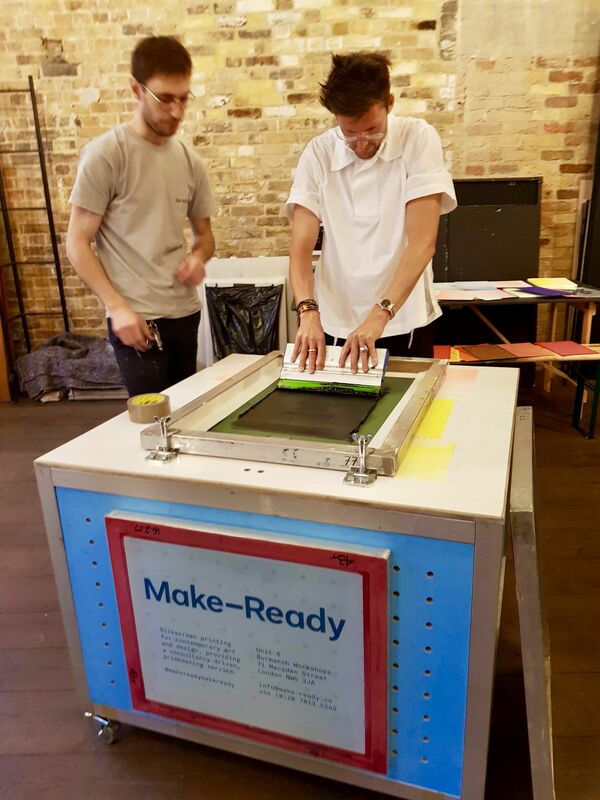 Henry also gave a talk, telling us about how his fashion career really kicked off from his initial slogan designs in 2006 and how his designs are now really known for the prints and use of colour. It actually all started off from a Paypal link on Henry’s Myspace page and is now a staple on the London Fashion Week circuit. It was great to hear him talk about his career and how it has evolved from a background in journalism. 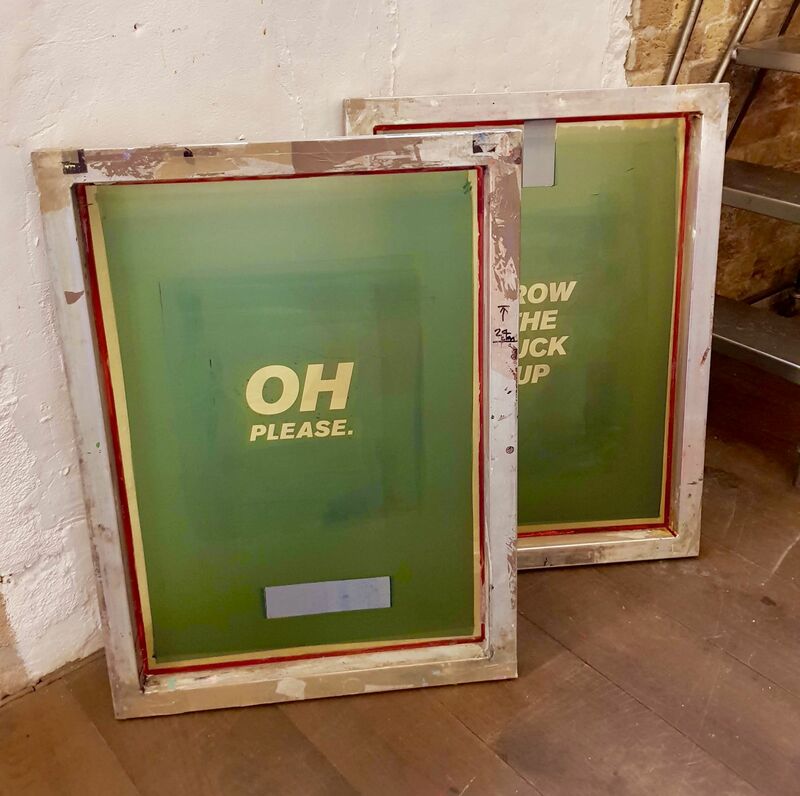 He also talked us through his favourite slogans which he’d selected for the evening’s screen printing and how he used slogans for humour (very tongue in cheek humour) and also gave us a little insight into how his collaboration with Papier had come about. “I have been using Papier for my personal stationery for a while now so I’m really excited to be collaborating with them on a full collection. We have delved into our print archive to bring together a really exciting collection of stationery and I’m extremely proud of all of it. 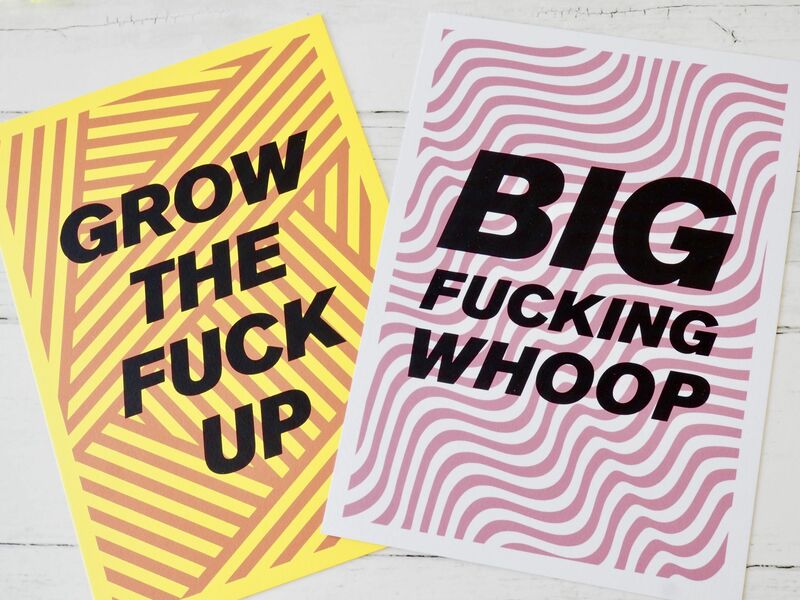 The greetings cards are some of my favourites – I just hope everyone shares my crude sense of humour and enjoys them as much as I do. 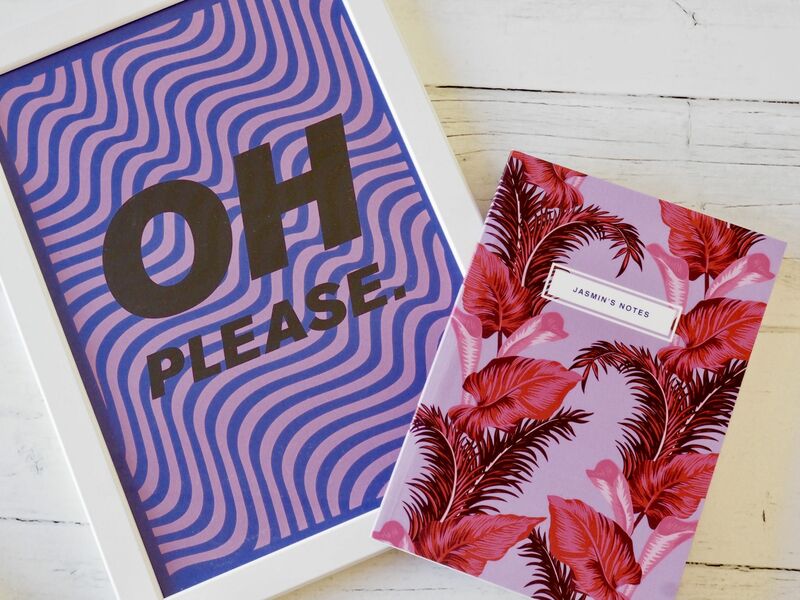 I’ve had several chuckles to myself during the design process!” Henry Holland Papier was founded in August 2015 by Taymoor Atighetchi and it’s the only online stationery brand where users can personalise and send greeting cards direct to recipients, as well as design and order custom invitations, notecards and notebooks. Papier has worked with a number of brands, illustrators and graphic designers such as Mother of Pearl, À L’aise, the V&A and one of my favourite illustrators Emma Block. 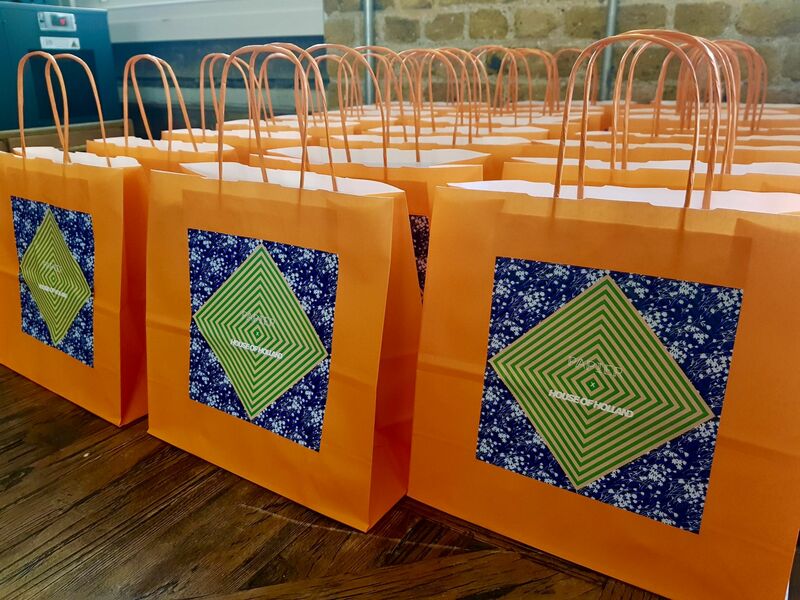 All of Papier’s offerings have quality and design at the heart of their products which make a lovely addition to your home or work office as well beautiful gifts and everything is made in the UK. 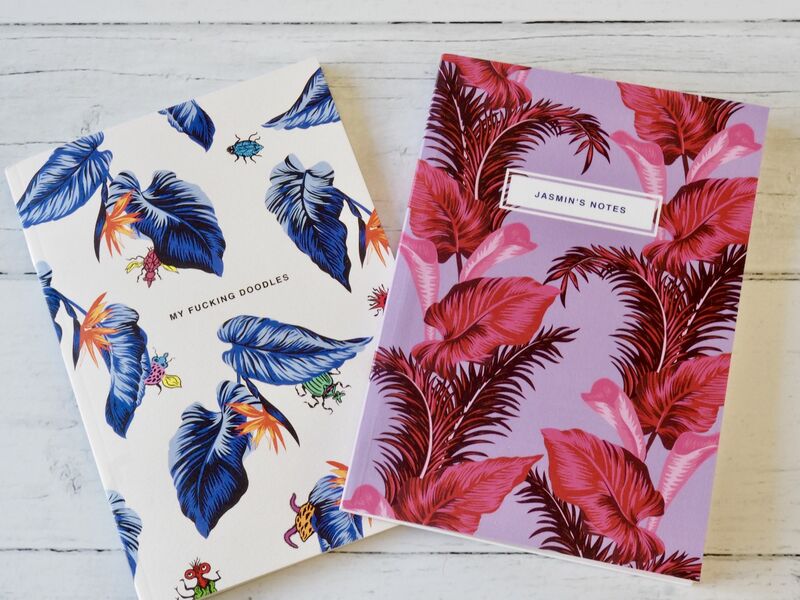 At the event I met the lovely Holly from Papier and it was great to chat away to her about my love of stationery and the beautiful notebooks from Henry’s collection. 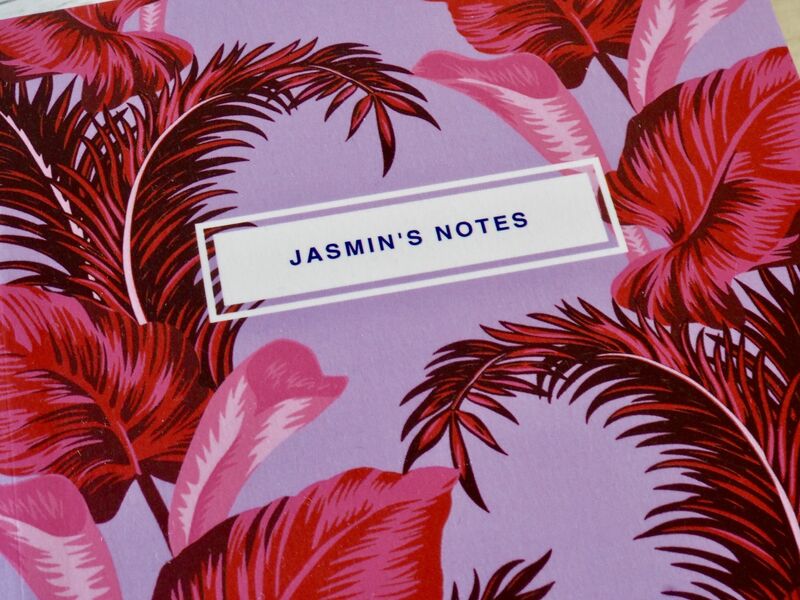 I’d mentioned to Holly how I loved the purple pink floral design and a week or so later a personalised version of the note book arrived in the post, as Holly had kindly gifted me. During the event Holly introduced me to Henry and became our I’m impromptu photographer. 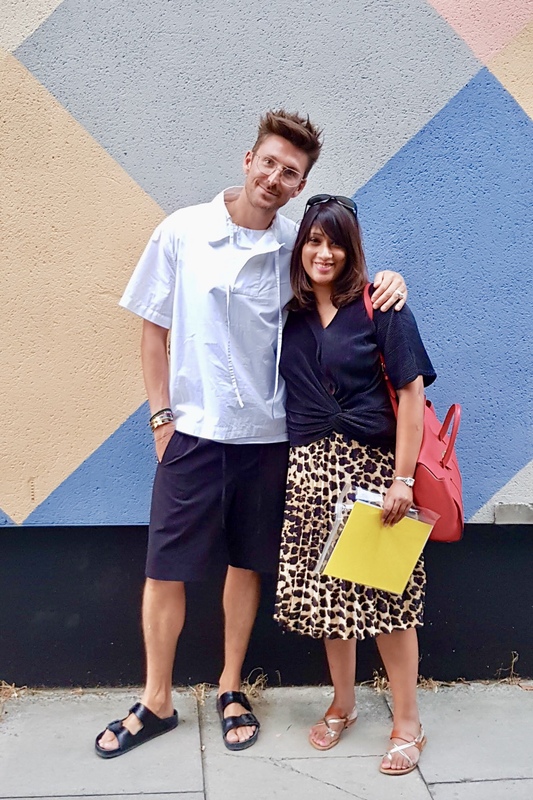 I think she could tell I was fan-girling a little and I was as I mentioned to Henry how I’d seen his fashion collections at London Fashion Week events. I love my personalised notebook, it’s been great for jotting down blog ideas, so I thought I’d order some stationery for the blog. I’ll be sharing my favourite stationery picks on the blog soon. If you’d like to try out Papier you can get a discount on your first order here (affiliate link). I’d love to see what you order and hear about your favourite stationery.